Courtesy National Institute of Allergy and Infectious Diseases. 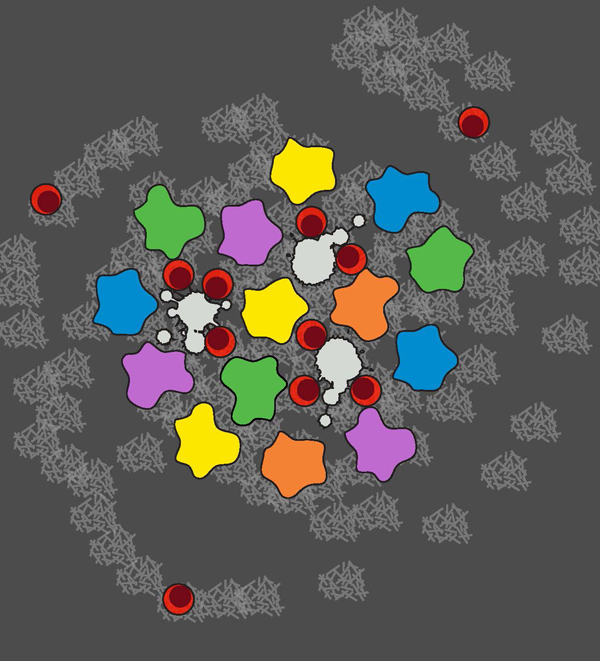 Supercomputers help classify immune response, design clinical trials, and analyze immune repertoire data. The body has a natural way of fighting cancer – it’s called the immune system, and it is tuned to defend our cells against outside infections and internal disorder. But occasionally, it needs a helping hand. But alongside its successes, scientists have discovered that immunotherapy sometimes has powerful — even fatal — side-effects. 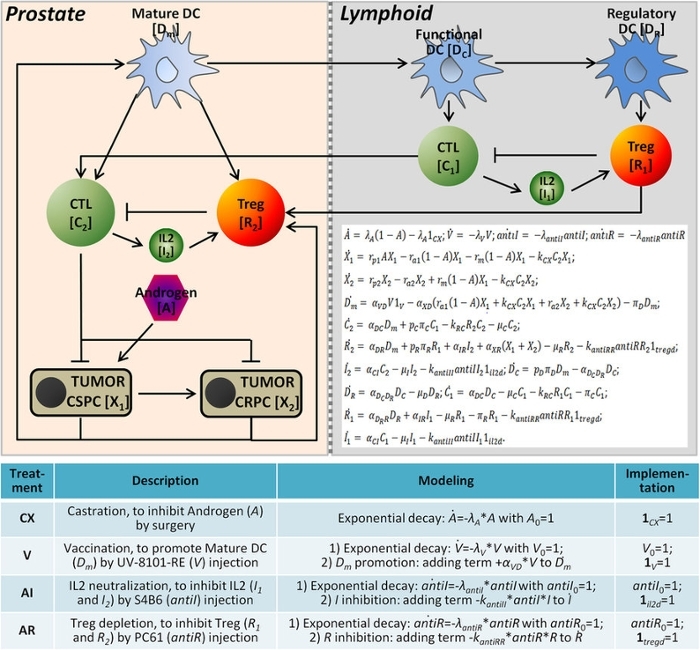 Researchers from Wake Forest School of Medicine and Zhejiang University in China developed a novel mathematical model to explore the interactions between prostate tumors and common immunotherapy approaches, individually and in combination. In a study published in Nature Scientific Reports, they used their model to predict how prostate cancer would react to four common immunotherapies. The researchers incorporated data from animal studies into their complex mathematical models and simulated tumor responses to the treatments using the Stampede supercomputer at the Texas Advanced Computing Center (TACC). “We do a lot of modeling which relies on millions of simulations,” says Jing Su, a researcher at the Center for Bioinformatics and Systems Biology at Wake Forest School of Medicine and assistant professor in the Department of Diagnostic Radiology. TACC’s high performance computing resources allowed the researchers to highlight a potential therapeutic strategy that may manage prostate tumor growth more effectively. Because traditional dose-finding designs are not suitable for trials of biological agents, novel designs that consider both the toxicity and efficacy of these agents are imperative. Writing in the Journal of the Royal Statistics Society Series C (Applied Statistics), Cai and her collaborators, Ying Yuan, and Yuan Ji, described efforts to identify biologically optimal dose combinations for agents that target the PI3K/AKT/mTOR signaling pathway, which has been associated with several genetic aberrations related to the promotion of cancer. After 2,000 simulations on the Lonestar supercomputer for each of six proposed dose-finding designs, they discovered the optimal combination gives higher priority to trying new doses in the early stage of the trial. The best case also assigns patients to the most effective dose that is safe toward the end of the trial. “Extensive simulation studies show that the design proposed has desirable operating characteristics in identifying the biologically optimal dose combination under various patterns of dose–toxicity and dose–efficacy relationships,” Cai concludes. 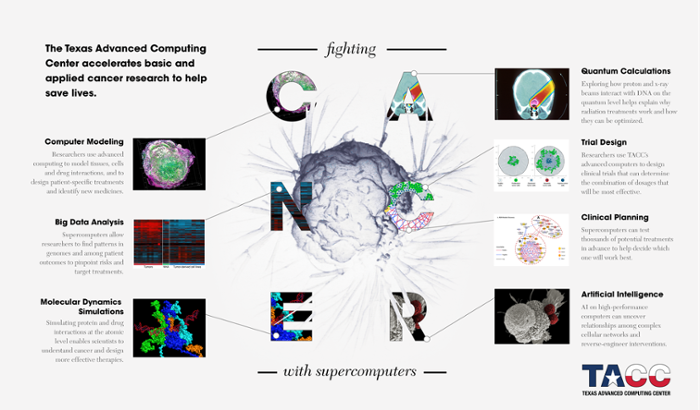 Whether in support of population-level immune response studies, clinical dosing trials, or community-wide efforts, TACC’s advanced computing resources are helping scientists put the immune system to work to better fight cancer. Earlier this week, for the first time, a drug was FDA-approved for cancer based on disease genetics rather than type. Developed from 30 years of basic research at Johns Hopkins and its Bloomberg–Kimmel Institute, the drug, pembroluzimab, now can be used for colon, pancreatic, stomach, ovarian, and other cancers if genetic testing reveals defects in so-called mismatch repair genes. 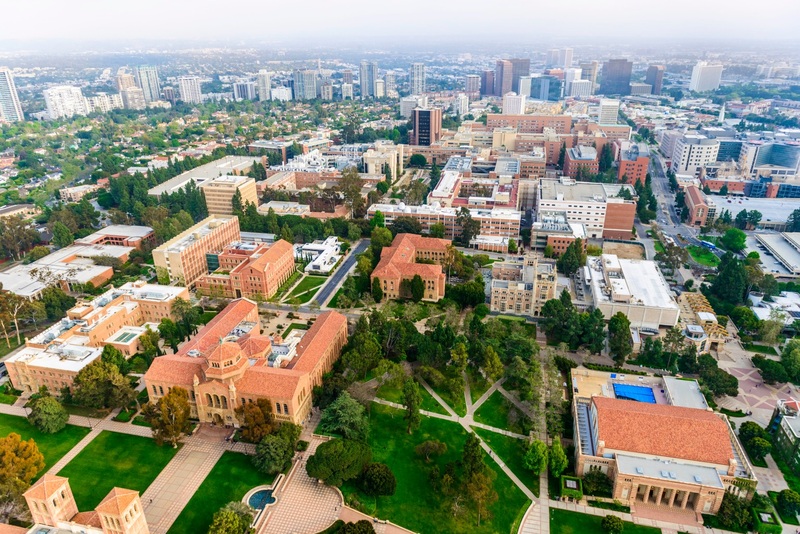 Experts at the Bloomberg–Kimmel Institute designed the first clinical trial to test the theory that patients whose tumors have defects in mismatch repair genes may respond better to immunotherapy. Results of the trial were presented and published in 2015 at the American Society of Clinical Oncology Annual Meeting and published online by The New England Journal of Medicine. While studying the underpinnings of multiple sclerosis, investigators at Brigham and Women’s Hospital came across important clues for how to treat a very different disease: cancer. 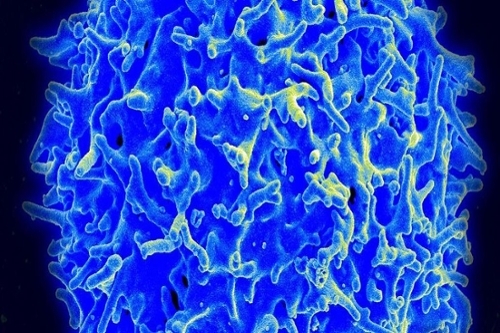 In a paper published in Science Immunology, a group of researchers led by neurologist Howard Weiner, MD, describe an antibody that can precisely target regulatory T cells which in turn unleashes the immune system to kill cancer cells. 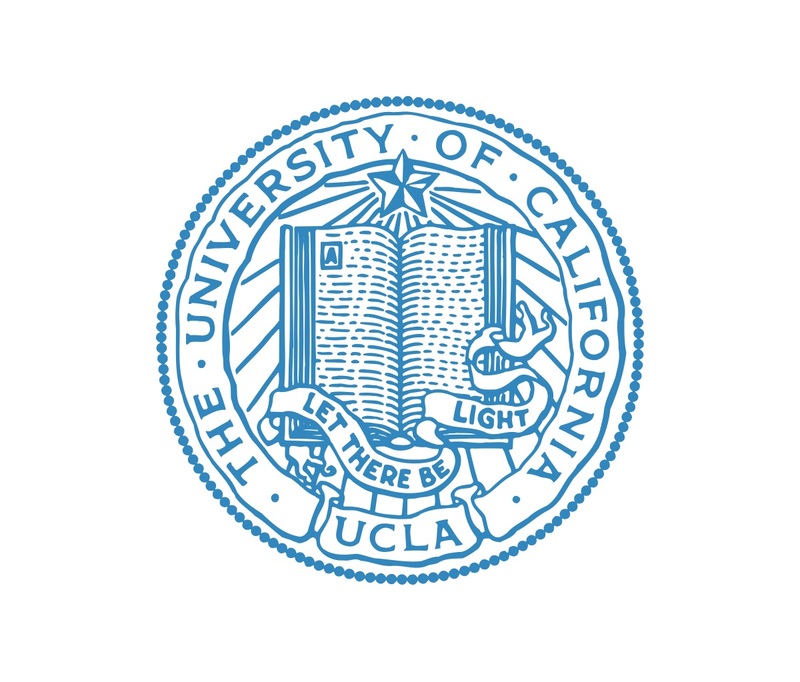 The team reports that the antibody decreased tumor growth in models of melanoma, glioblastoma and colorectal carcinoma, making it an attractive candidate for cancer immunotherapy. The Weiner lab has been studying regulatory T cells (Tregs) for many years. Tregs, which help maintain the immune system’s tolerance of “self,” can, inadvertently, promote cancer’s growth by preventing the body’s immune system from detecting and attacking cancer cells. The researchers found that they could precisely target Tregs using an antibody that locks in on a molecular complex that’s uniquely expressed on the cell surface of Tregs. The team developed these so-called anti-LAP antibodies initially to investigate the development of multiple sclerosis, but realized their work had implications for the study of cancer. In the current study, the team used preclinical models to investigate how well anti-LAP antibodies could work in blocking the essential mechanisms of Tregs and restoring the immune system’s ability to fight cancer. They found that anti-LAP acts on multiple cell populations to promote the immune system’s ability to fight cancer, including increasing the activity of certain types of T cells and enhancing immune memory. The current study has been conducted in preclinical models of cancer. 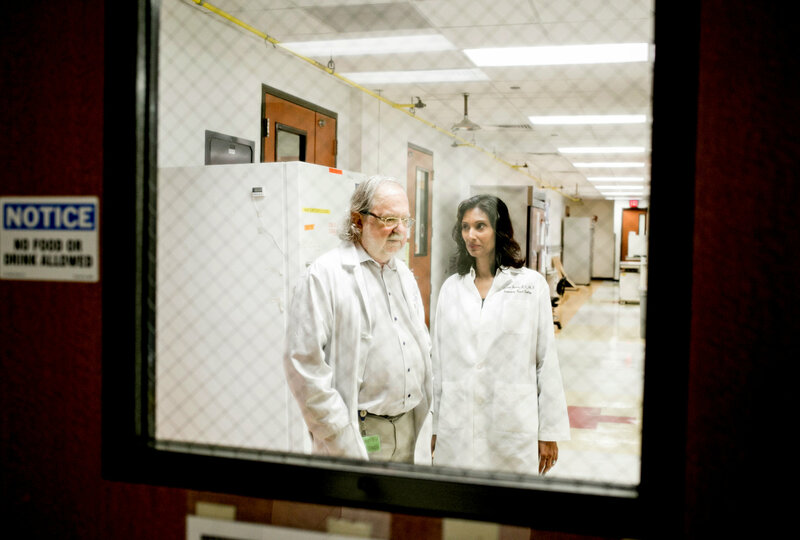 In order to move this work toward the clinic, Tilos Therapeutics will be expanding on the Weiner lab’s research to modify the antibody for use in humans, a process that usually takes several years. “I see this work as the perfect example of how research in all branches of immunology into the mechanistic underpinnings of disease can have a huge impact on other fields, such as oncology,” said Barbara Fox, PhD, CEO of Tilos Therapeutics. “We are basically educating the immune system with these nanodiscs so that immune cells can attack cancer cells in a personalized manner,” said James Moon, the John Gideon Searle assistant professor of pharmaceutical sciences and biomedical engineering. “The idea is that these vaccine nanodiscs will trigger the immune system to fight the existing cancer cells in a personalized manner,” Moon said. 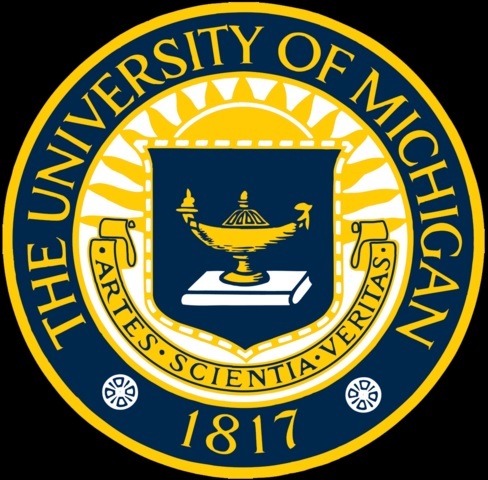 “This suggests the immune system ‘remembered’ the cancer cells for long-term immunity,” said Rui Kuai, U-M doctoral student in pharmaceutical sciences and lead author of the study. “It’s a powerful vaccine technology that efficiently delivers vaccine components to the right cells in the right tissues. 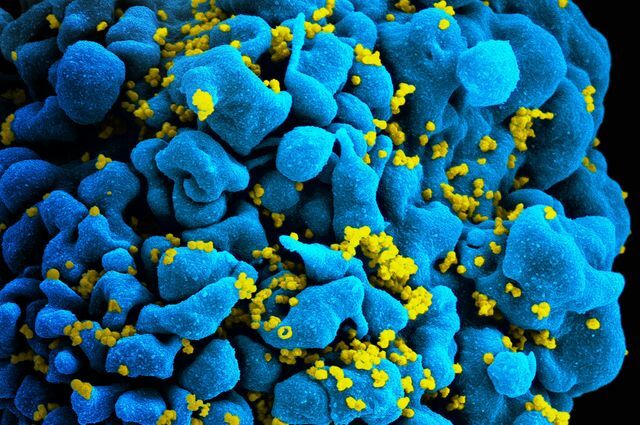 Better delivery translates to better T-cell responses and better efficacy,” said study co-senior author Anna Schwendeman, U-M assistant professor of pharmacy. The study, Designer vaccine nanodiscs for personalized cancer immunotherapy, is scheduled for advance online publication Dec. 26 on the Nature Materials website. I’ve been meeting more and more people with cancer lately who would be desperately ill — or worse — had they not taken matters into their own hands and found their way into clinical trials in which they received experimental treatments that put the disease in remission. There were no guarantees. New treatments don’t always work, and experiments have risks. [My own wife died after, first, immunotherapy that did not work and then clinical trial which at best did not work and at worst possibly killed her.] The patients I met are here to tell their stories because they’re among the lucky few, the successes. Still, the cancer landscape does seem to be brightening, if only just a bit, in large part thanks to immunotherapy, which includes various treatments that help the patient’s own immune system to fight cancer. The latest good news from the cancer front came last week, from Celine Ryan, a 51-year-old woman from Rochester Hills, Mich., a suburb of Detroit. She homeschools her five children, the youngest of whom is seven years old. Ms. Ryan has colon cancer, and two years ago, doctors found that despite surgery, radiation and chemotherapy, the cancer had spread and invaded her lungs, where scans detected 10 tumors. 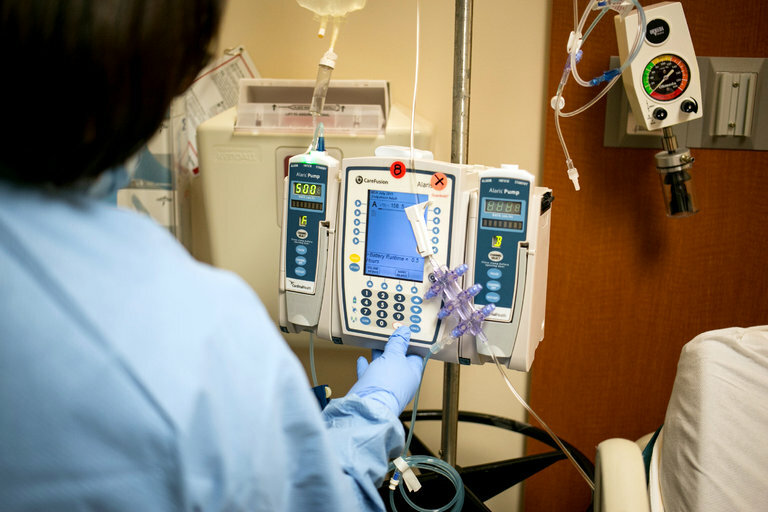 Ms. Ryan is an engineer and database programmer, and to her scientific mind, it seemed highly unlikely that more chemo would control the disease. Chemo made her sick the first time around, and she had every reason to belief it would do so again. She and her husband, who is also an engineer, agreed that she should forgo chemo and instead try to tap into a major research center for help. A front-page article I wrote in May 2014 about Ms. Bachini, a paramedic in Billings, Mont., might have been the article that Ms. Ryan remembered. Ms. Bachini had a deadly cancer, cholangiocarcinoma, that had started in her bile duct; Ms. Bachini underwent surgery and several grueling rounds of chemo, but the cancer nontheless spread to her liver and lungs. In April 2012, her life expectancy was a matter of months. 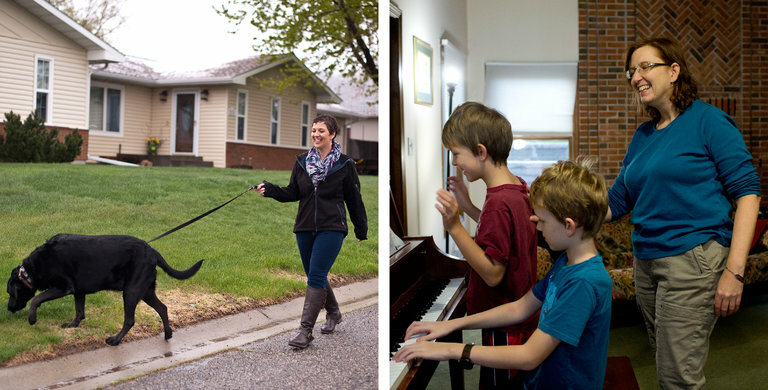 Ms. Bachini, 43 at the time, had six children and, like, Ms. Ryan, did not think further chemotherapy would help. Instead, she combed the internet looking for clinical trials and came upon one, run by Dr. Steven A. Rosenberg, at the National Cancer Institute, that made sense to her. 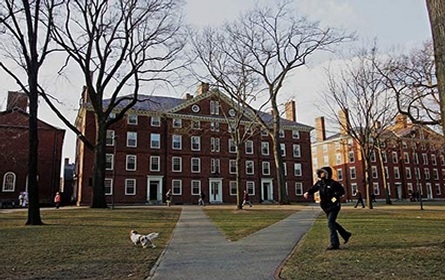 She was accepted into the study, and got very lucky. Dr. Rosenberg’s team found that she had a type of cancer-killing immune cell that could destroy her tumors without harming normal cells. The researchers multiplied those cells in the lab and dripped more than 100 billion of them back into her. Ms. Bachini’s tumors melted away. Inspired by Ms. Bachini’s story, Ms. Ryan called the cancer institute. She was deferred twice because her tumors were not big enough to yield enough immune cells. But she persisted, and even sent the researchers screen shots from her scans, with measurements of tumors that she and her husband thought met the trial criteria. Eventually, she was accepted into the study and, like Ms. Bachini, was one of the fortunate ones: Now, thanks to the cell treatment and surgery, she is cancer-free. Ms. Ryan’s case made medical history, because it was the first time researchers found cells that could attack a common cancer causing mutation — a finding that may help thousands of other patients with the same mutation. In November 2015, after the first scan showed that her tumors had shrunk markedly, Ms. Ryan tracked down Ms. Bachini and emailed her. “Call me!” Ms. Bachini replied. Ms. Bachini and Ms. Ryan have been friends ever since and stay in touch by phone and on Facebook. “When Celine and I connected, I was so unbelievably happy for her,” Ms. Bachini said. They hope to meet in person, maybe by coordinating their checkups at the cancer institute. Both try to help other patients who are looking for help and considering clinical trials. Ms. Bachini needed more treatment recently, because tumors in her lungs began to grow again. She had surgery and was given an immunotherapy drug, a type called a checkpoint inhibitor, which has begun shrinking the tumors. Some of the most promising advances in cancer research in recent years involve treatments known as immunotherapy. These advances are spurring billions of dollars in investment by drug companies, and are leading to hundreds of clinical trials. Here are answers to some basic questions about this complex and rapidly evolving field. Immunotherapy refers to any treatment that uses the immune system to fight diseases, including cancer. Unlike chemotherapy, which kills cancer cells, immunotherapy acts on the cells of the immune system, to help them attack the cancer. Drugs called checkpoint inhibitors are the most widely used form of immunotherapy for cancer. They block a mechanism that cancer cells use to shut down the immune system. 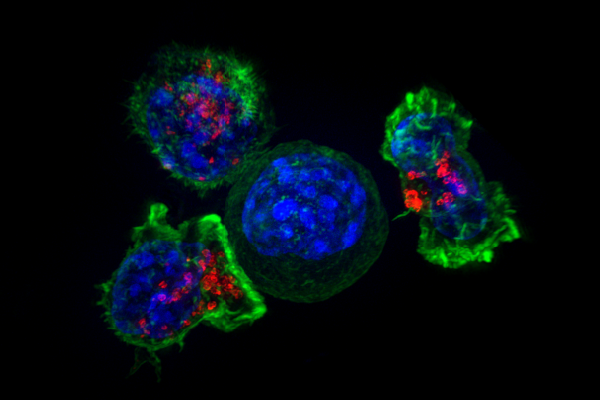 This frees killer T-cells — a critically important part of the immune system — to attack the tumor. Four checkpoint inhibitors have been approved by the Food and Drug Administration and are on the market. They are given intravenously. Another form of immunotherapy, called cell therapy, involves removing immune cells from the patient, altering them genetically to help them fight cancer, then multiplying them in the laboratory and dripping them, like a transfusion, back into the patient. This type of treatment is manufactured individually for each patient, and is still experimental. Bispecific antibodies are an alternative to cell therapy, one that does not require individualizing treatment for each patient. These antibodies are proteins that can attach to both a cancer cell and a T-cell, that way bringing them close together so the T-cell can attack the cancer. One such drug, called Blincyto, has been approved to treat a rare type of leukemia. Vaccines, another form of immunotherapy, have had considerably less success than the others. Unlike childhood vaccines, which are aimed at preventing diseases like measles and mumps, cancer vaccines are aimed at treating the disease once the person has it. The idea is to prompt the immune system to attack the cancer by presenting it with some piece of the cancer. The only vaccine approved specifically to treat cancer in the United States is Provenge, for prostate cancer. Another vaccine, BCG, which was developed to prevent tuberculosis, has long been used to treat bladder cancer. As a weakened TB bacterium, BCG appears to provoke a general immune system reaction that then works against the cancer. Researchers hope that other vaccines may yet be made to work by combining them with checkpoint inhibitors. Which types of cancer are treated with immunotherapy? Checkpoint inhibitors have been approved to treat advanced melanoma, Hodgkin’s lymphoma and cancers of the lung, kidney and bladder. The drugs are being tested in many other types of cancer. So far, cell therapy has been used mostly for blood cancers like leukemia and lymphoma. Which cancer drugs are checkpoint inhibitors? The four on the market are: Yervoy (ipilimumab) and Opdivo (nivolumab), made by Bristol-Myers Squibb; Keytruda (pembrolizumab), by Merck; and Tecentriq (atezolizumab), by Genentech. Though immunotherapy has been stunningly successful in some cases, it still works in only a minority of patients. Generally, 20 percent to 40 percent of patients are helped by checkpoint inhibitors — although the rate can be higher among those with melanoma. Some patients with advanced disease have had remissions that have lasted for years. In some cases, combining two checkpoint inhibitors increases the effectiveness. But for some people the drugs do not work at all, or they help just temporarily. Cell therapy can produce complete remissions in 25 percent to 90 percent of patients with lymphoma or leukemia, depending on the type of cancer. In some cases the remissions can last for years, but in others relapses occur within a year. Checkpoint inhibitors can cause severe problems that are, essentially, autoimmune illnesses, in which the immune system attacks healthy tissue as well as cancer. One result is inflammation. In the lungs it can cause breathing trouble; in the intestine it can cause diarrhea. Joint and muscle pain, and rheumatoid arthritis can also occur, and the immune system can also attack vital glands like the thyroid and pituitary. These reactions are dangerous, but can often be controlled with steroid medicines like prednisone. Cell therapy can also lead to severe and potentially fatal reactions resulting from the overstimulation of the immune system. The reactions can usually be controlled, but patients may need to be treated in an intensive care unit. What does immunotherapy cost? Does insurance cover it? Checkpoint inhibitors can cost $150,000 a year. Many insurers will pay if the drug has been approved for the type of cancer the patient has. But sometimes there are high co-payments. 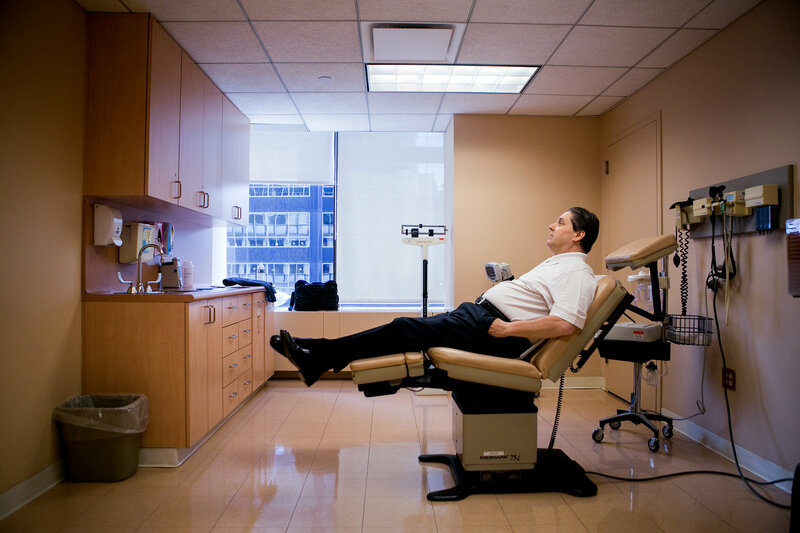 Patients in clinical trials may get the drugs free. Manufacturers have not said yet how much they will charge for cell therapies, assuming they win approval and reach the market. But experts expect the price to be as high as a few hundred thousand dollars. Where can I get immunotherapy? Any oncologist can prescribe the checkpoint inhibitors that are on the market. Patients with cancers for which the drugs have not been approved may find insurers reluctant to pay, but may be able to get the drugs for free by volunteering for clinical trials. Cell therapies are available only through clinical trials now. 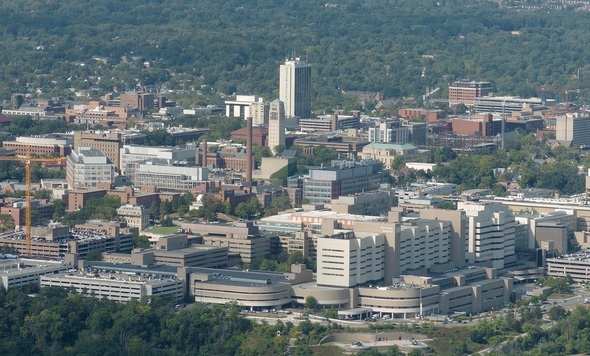 Most of the study sites are major medical centers. How can I find out about clinical trials in immunotherapy? Information is available on the Cancer Research Institute website, or by calling 1-855-216-0127 (Monday through Friday, 8:30 a.m. to 6 p.m. E.T.). Another source is ClinicalTrials.gov.